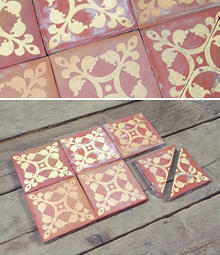 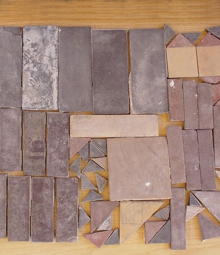 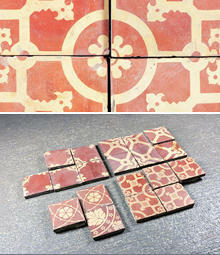 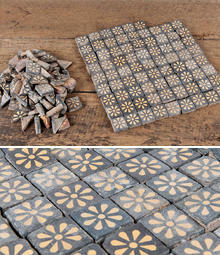 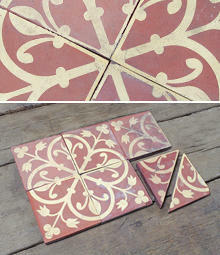 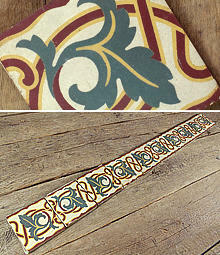 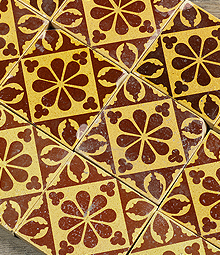 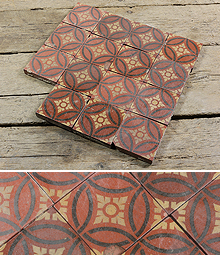 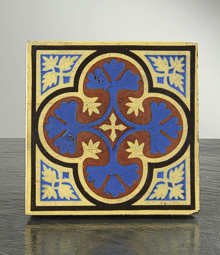 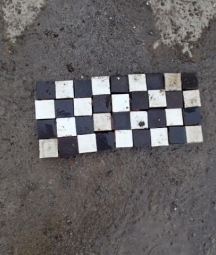 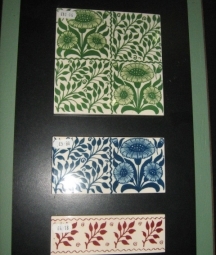 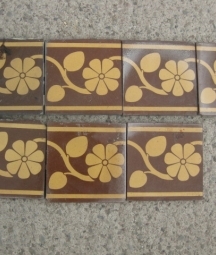 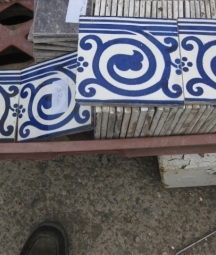 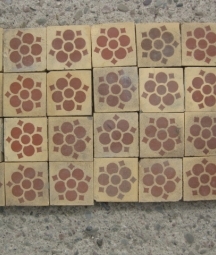 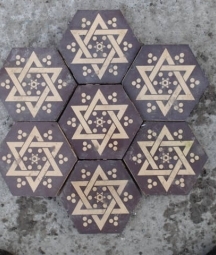 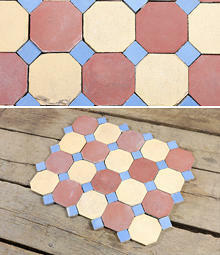 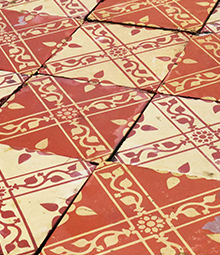 Historical Victorian encaustic floor tiles and geometric quarry tiles- English Salvage Ltd.
Victorian encaustic tiles are predominately made from at least one colour of clay, as it is the clay itself which is inlaid to create the pattern. 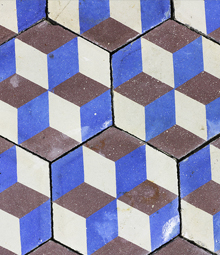 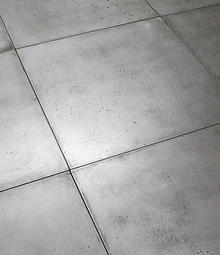 Most have a striking repeated pattern which is visible over four, or more, tiles to make a bigger statement. 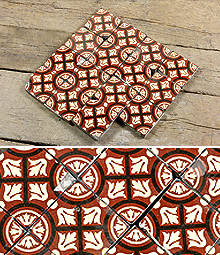 Geometric designs are popular, including the more modern looking 3D brick effect. 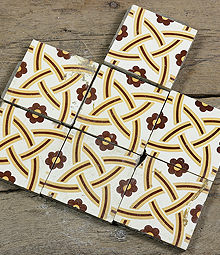 As the design is in the clay itself there is usually a minimum wear layer of 4mm which makes these tiles considerably long lasting and hard wearing.